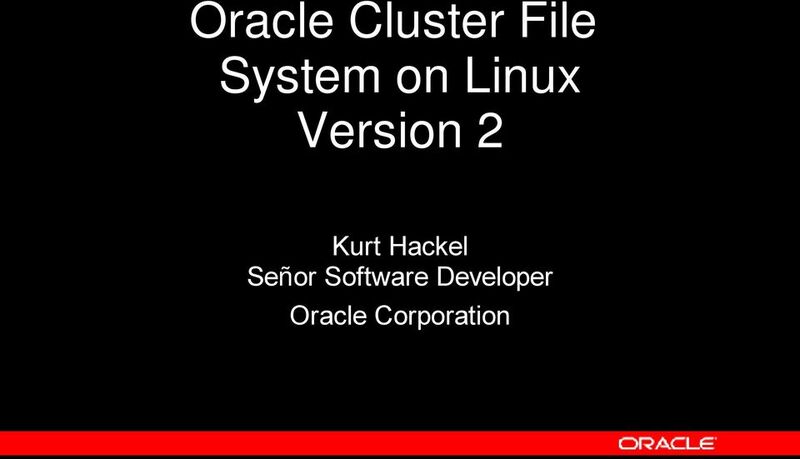 Download "Oracle Cluster File System on Linux Version 2. 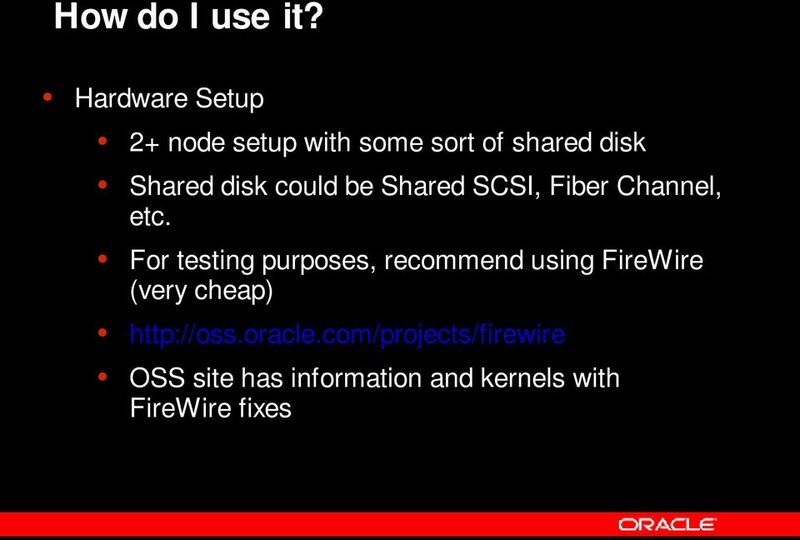 Kurt Hackel Señor Software Developer Oracle Corporation"
2 What is OCFS? 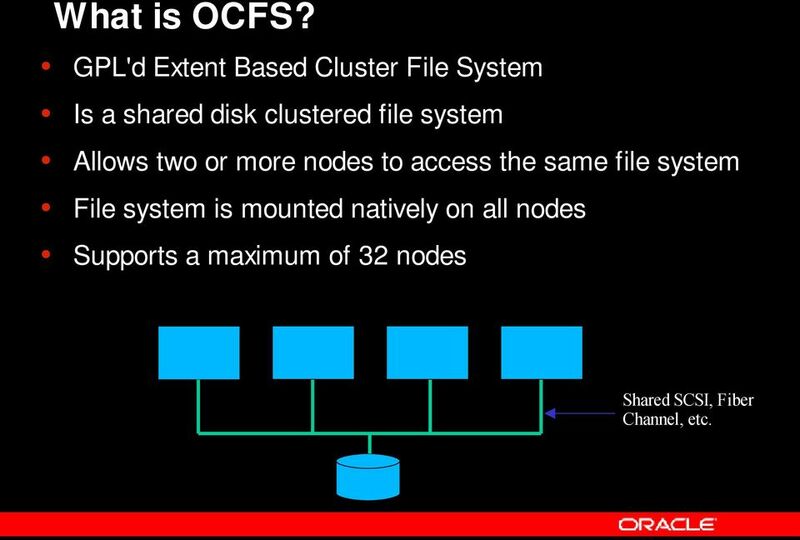 GPL'd Extent Based Cluster File System Is a shared disk clustered file system Allows two or more nodes to access the same file system File system is mounted natively on all nodes Supports a maximum of 32 nodes Shared SCSI, Fiber Channel, etc. 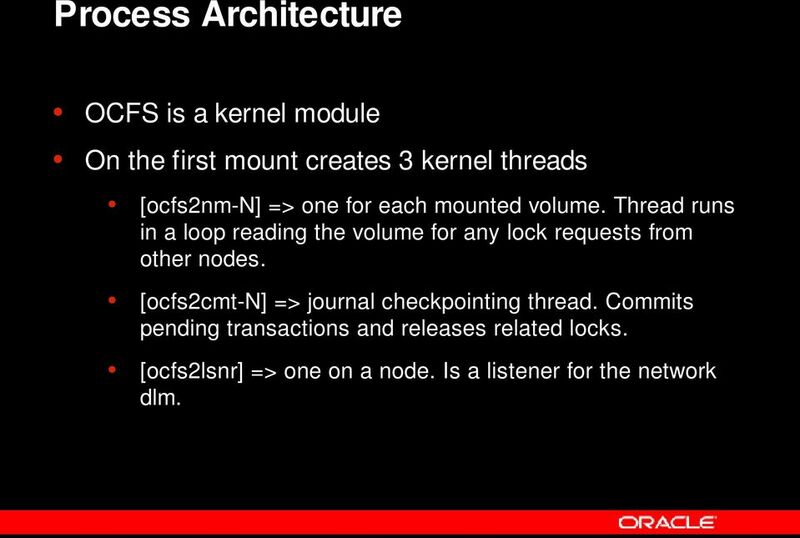 9 Process Architecture OCFS is a kernel module On the first mount creates 3 kernel threads [ocfs2nm-n] => one for each mounted volume. Thread runs in a loop reading the volume for any lock requests from other nodes. [ocfs2cmt-n] => journal checkpointing thread. Commits pending transactions and releases related locks. 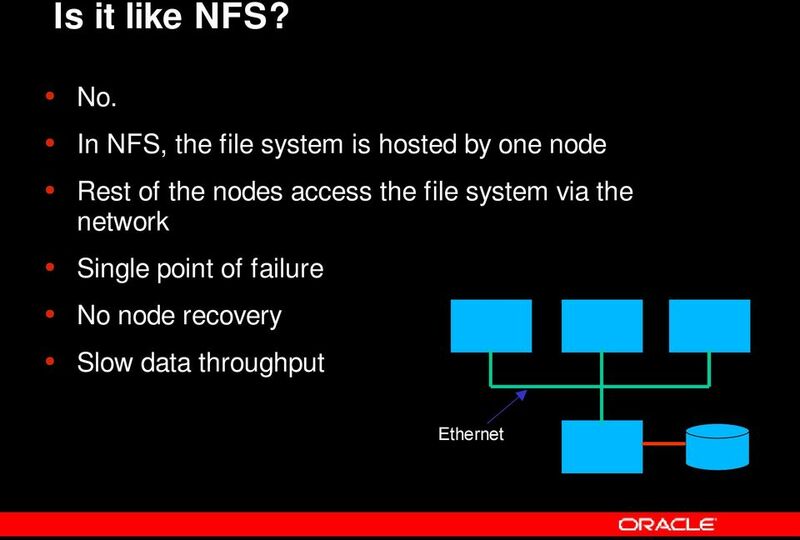 [ocfs2lsnr] => one on a node. Is a listener for the network dlm. 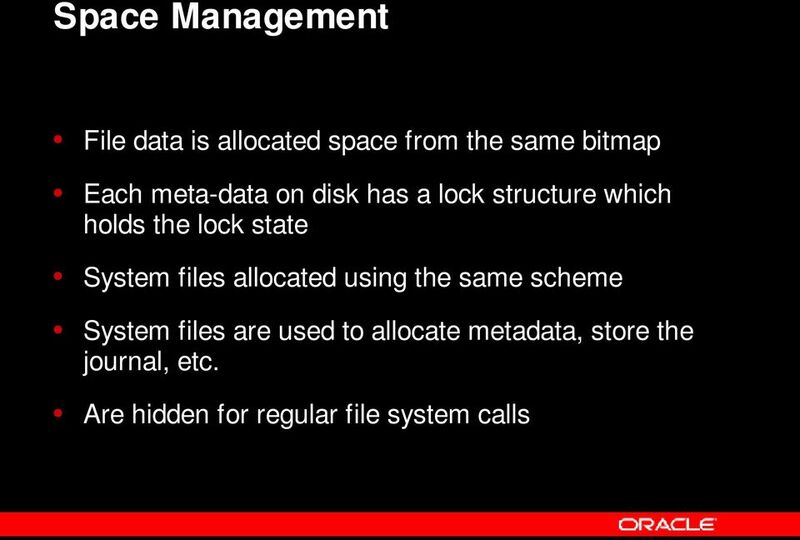 10 Process Architecture The third important pid is that of the user-space process which is accessing the fs. e.g., cp, mv, dbwr, etc. 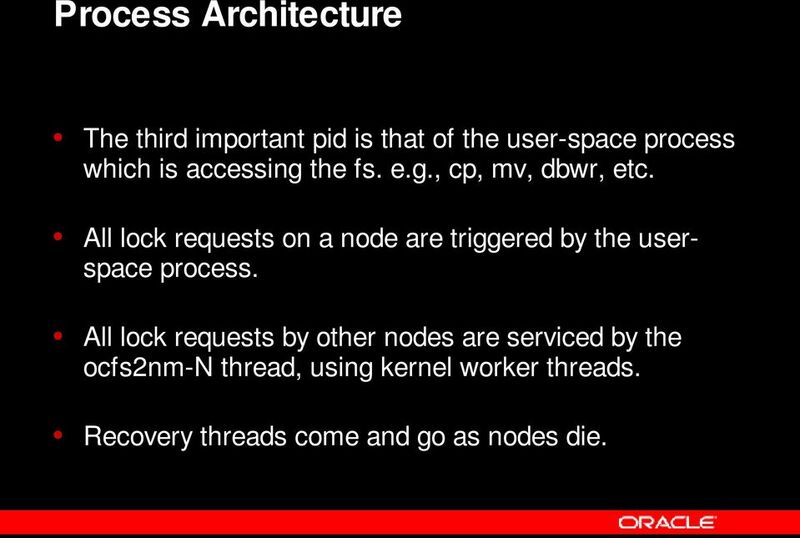 All lock requests on a node are triggered by the userspace process. 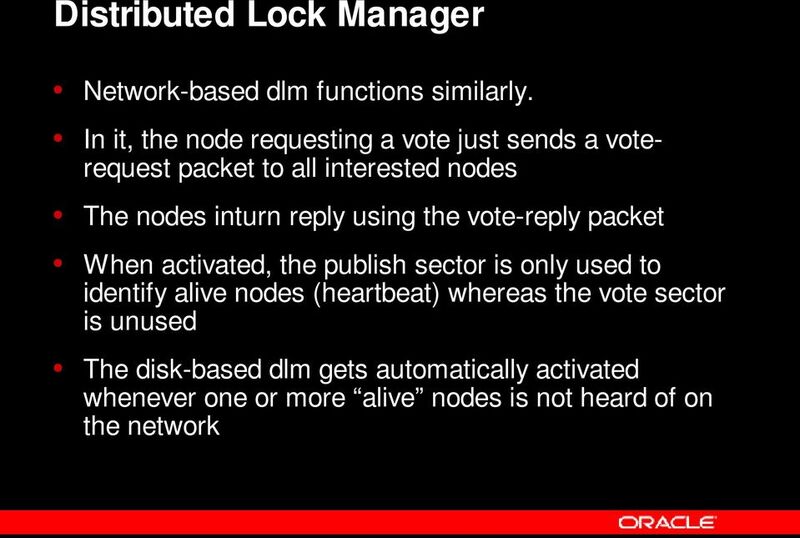 All lock requests by other nodes are serviced by the ocfs2nm-n thread, using kernel worker threads. Recovery threads come and go as nodes die. 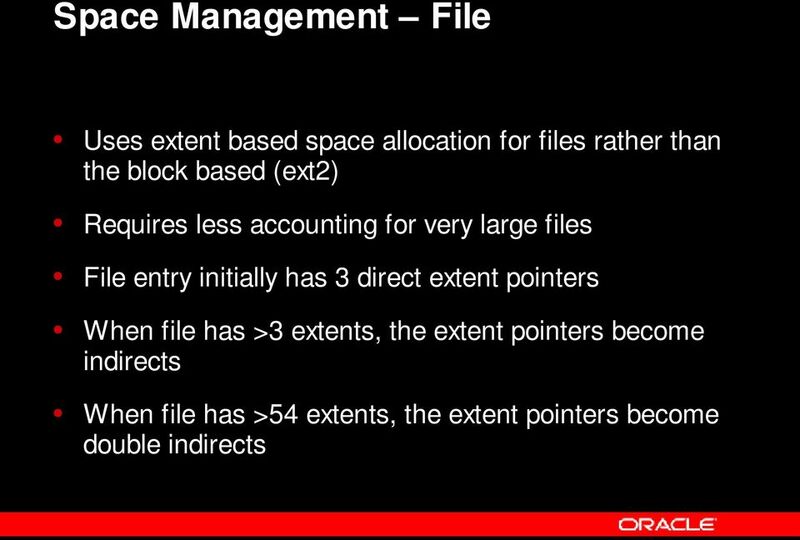 20 Space Management File Local Extents F.E. Non-local Extents F.E. 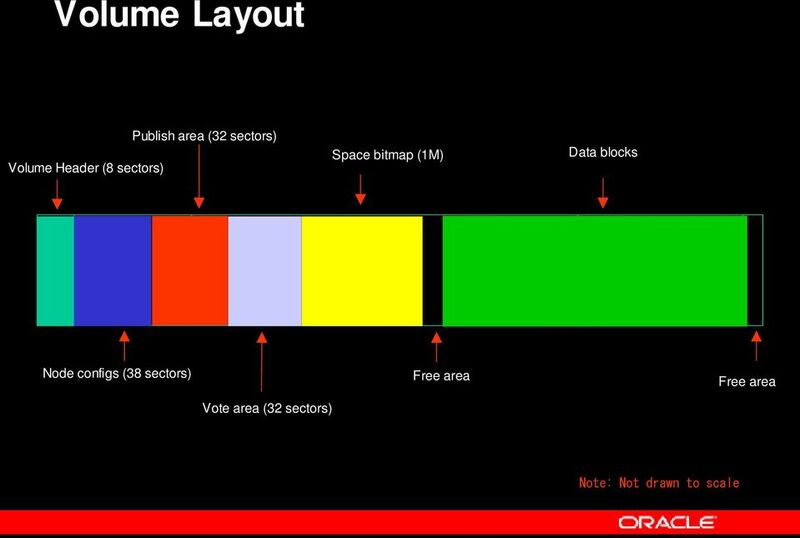 Data Data Data Data... Data Green squares are indirect blocks which hold 18 extent pointers each. 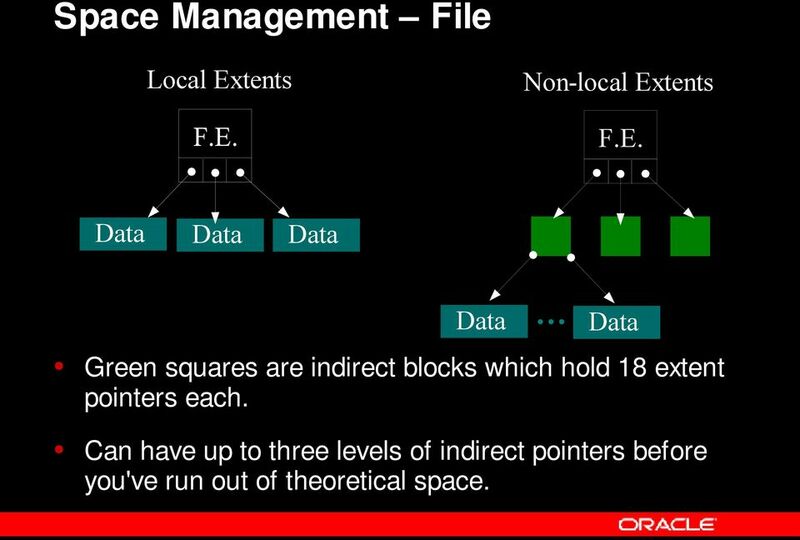 Can have up to three levels of indirect pointers before you've run out of theoretical space. 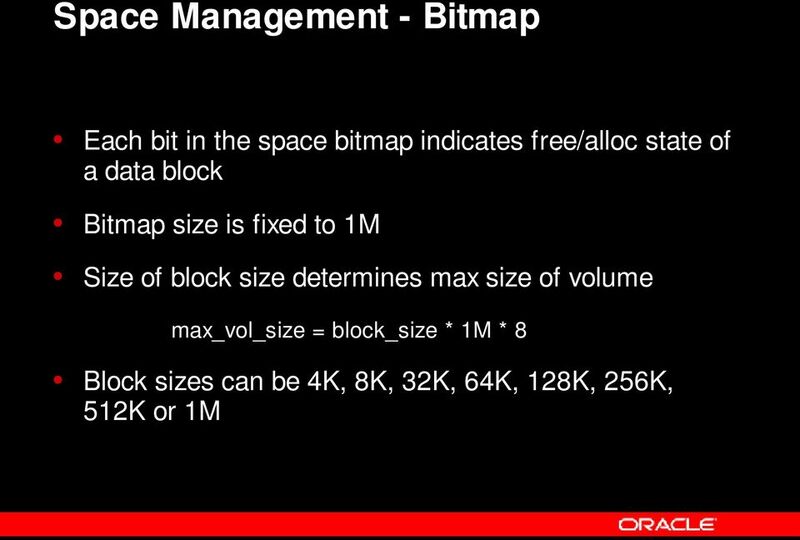 21 Space Management Local Alloc } Main Bitmap } Local Alloc Window One window per node, only use local alloc on smaller space allocations. Reduces lock contention on main bitmap. All bits in window are set on main bitmap, local alloc starts clean. As space is used, local alloc bits are set. Unused bits are returned to bitmap on shutdown, recovery, or on a window move. 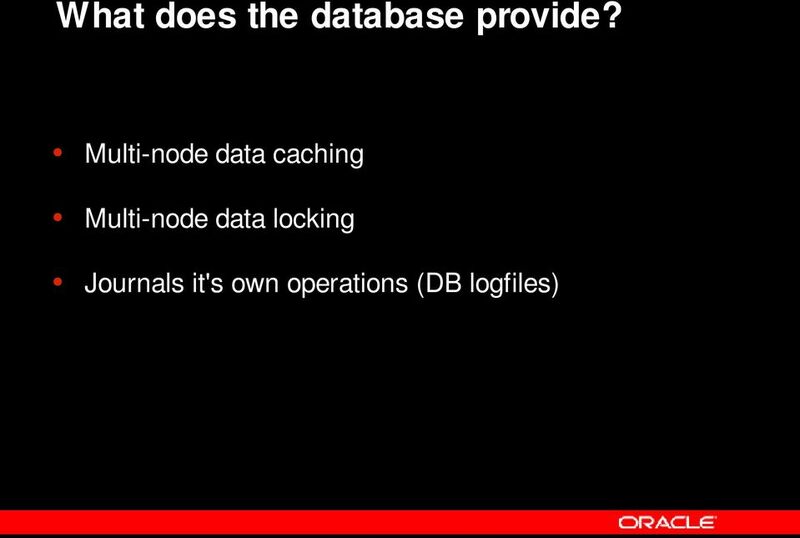 26 Caching Cache Meta Data using Sequence Numbers In buffer_head private bits In inode private data Global sequence number On block reads, BH sequence # is compared with inode. 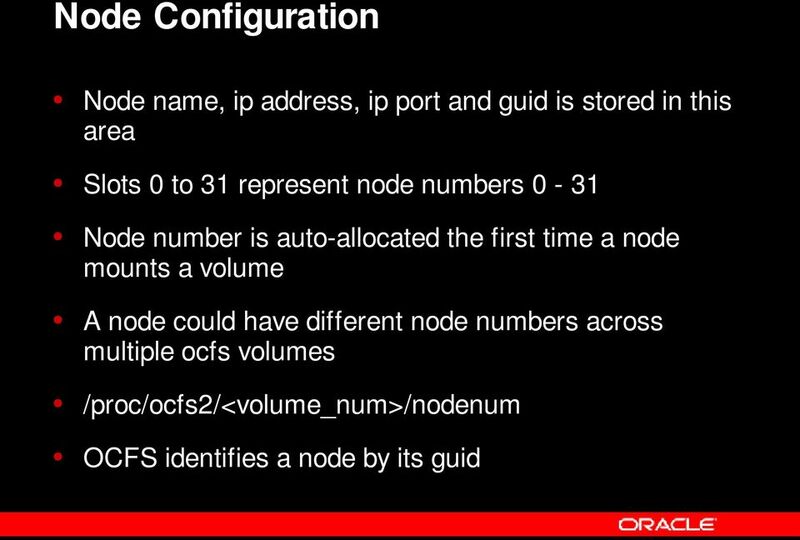 Increment the inode sequence # when another node locks it. Global incremented with each inode and new sequence #'s are set from it. Red Hat Cluster Suite HP User Society / DECUS 17. Mai 2006 Joachim Schröder Red Hat GmbH Two Key Industry Trends Clustering (scale-out) is happening 20% of all servers shipped will be clustered by 2006. From last time. 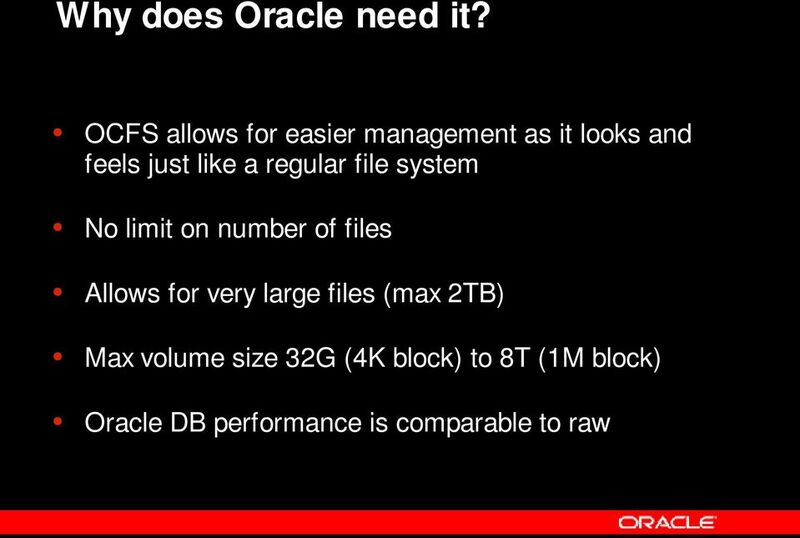 What is the maximum size of a file in bytes? 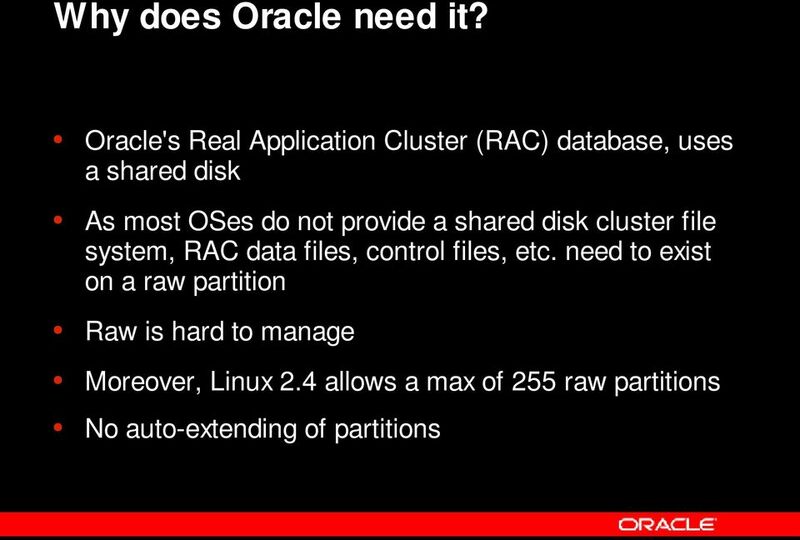 What is the maximum total size of directories and files in a single disk partition? PoINT Jukebox Manager Deployment in a Windows Cluster Configuration This document describes the requirements, configuration and restrictions of PoINT Jukebox Manager in a Microsoft Windows cluster configuration. Parallels Virtuozzo Containers 4.7 for Linux Deploying Clusters in Parallels-Based Systems Copyright 1999-2011 Parallels Holdings, Ltd. and its affiliates. All rights reserved. Parallels Holdings, Ltd.